Description: We have loved Sugar Baby since we purchased her at the GAMDS in 2012. 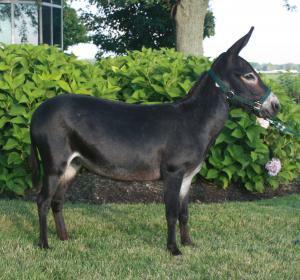 And she has been on of our "show donkeys" from 2013 through 2015. 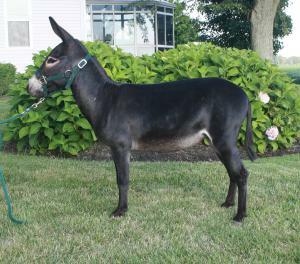 She did not disappoint us in the show ring and she has not disappointed us with her very first foal. 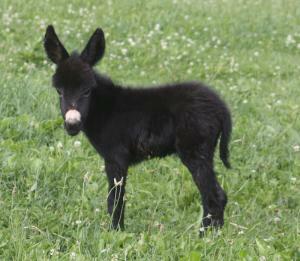 In keeping with the "candy" theme, we have named her Black Licorice. She is striking...perfect in every way. 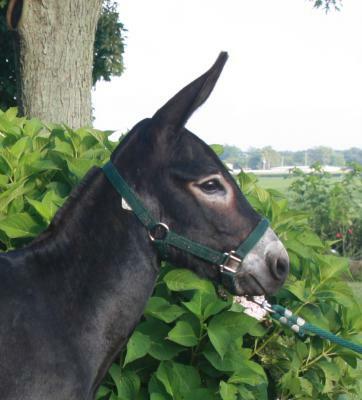 We anticipate that Licorice will be a "show donkey" in the future. Oh, yes, she was born on my mom's birthday. Good job, Sugar Baby!